Been busy since being home from Easter in Texas...we had a great time :o) I'll share pics from the trips, and pics of all the terrific stuff going on around here soon. 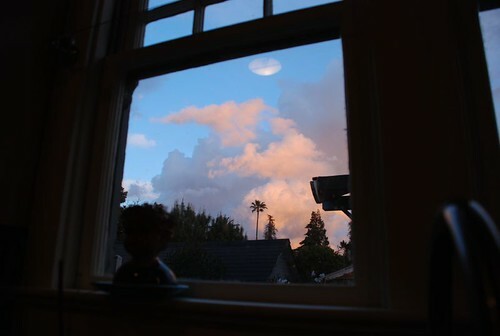 For now, here's a yummy shot from my kitchen window of the sky the other day. It was so dreamy - like a scene from an N.C. Wyeth painting.